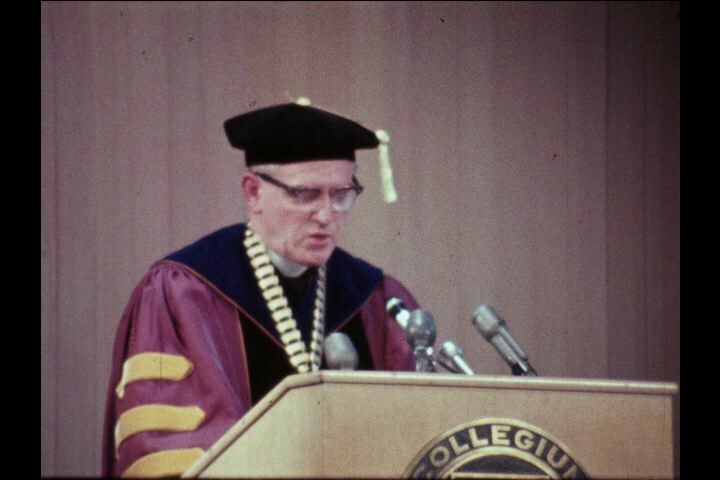 Description: Boston College ceremony. Students walking around on campus. Campus environs. 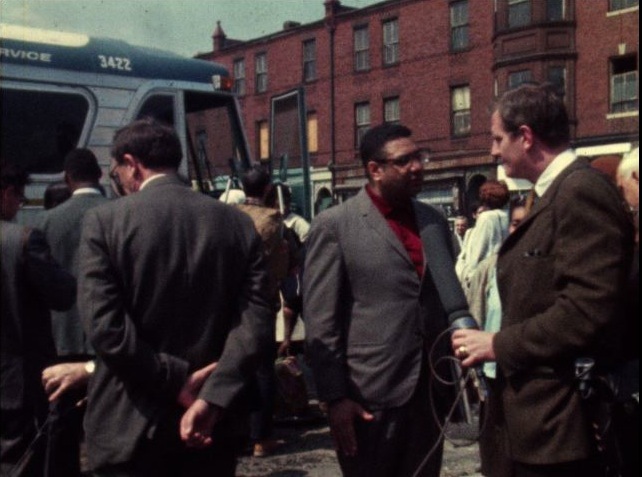 Description: Silent and sounds footage from a story on Ralph Abernathy and the Boston segment of the Poor People March in Washington, including an Abernathy making an address at Northeastern University and a speech at Boston Common. Additional footage includesSouthern Christian Leadership Conference members marching. People gathering supplies and boarding buses for Poor Peoples March. Man puts "I have a dream" bumper sticker on car. Interview with Mr. Frederick on the cost of Poor Peoples March. Two men fight on the street. Reporter standup. Footage of the march. Silent interviews with people on the street. Crowds boarding Greyhound buses to Resurrection city. Description: Representative of the Boston Museum of Science interviewed about an incident the day before. 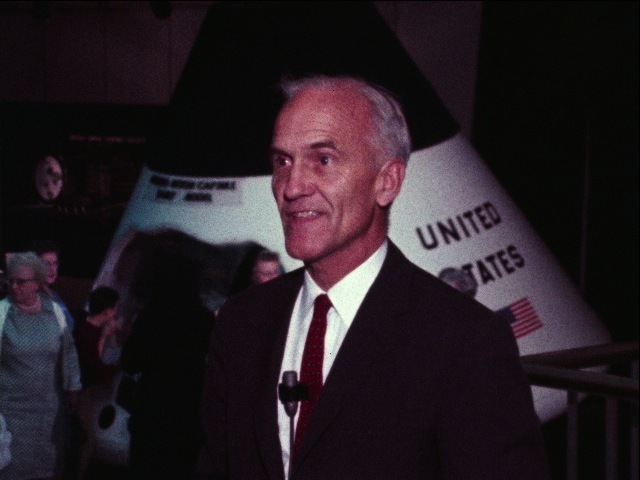 The museum decided to postpone a planetarium show in order to broadcast the lunar landing. A few of the museum guest got angry. Reporter standup about the museums new exhibits related to the lunar landing. 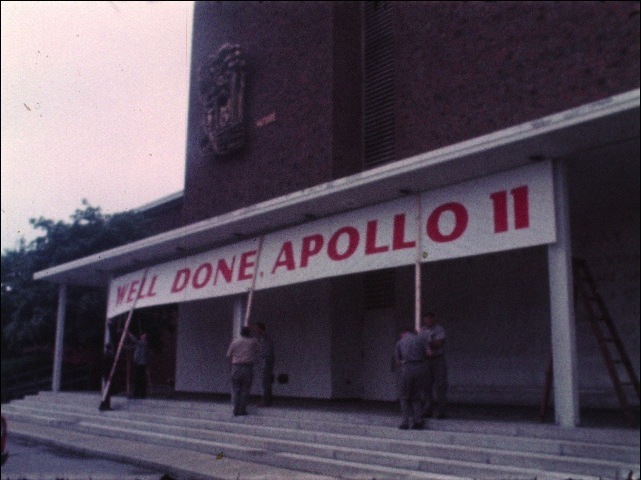 Description: Silent footage of men hanging a banner that reads "Well Done, Apollo II," and children at a science exhibit on Apollo 11 and the lunar landing. Air piece on Bostonians watching the lunar landing on television. Reporter standup. Shots of people watching the lunar landing and first moon walk. Reporter standup. 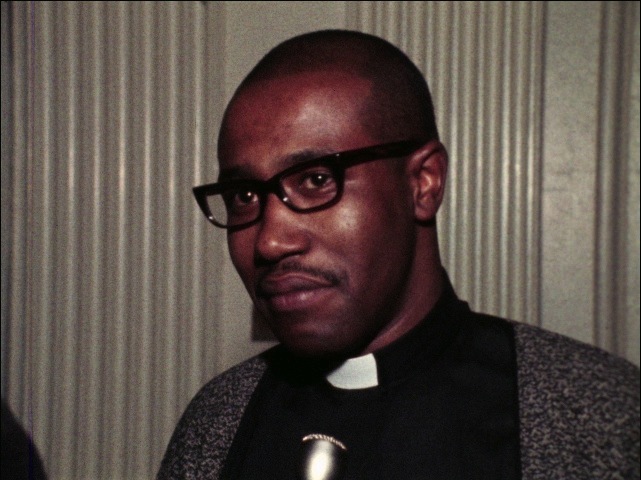 Description: Story on church and clergy involvement in the Vietnam War protest movement. Report on a panel discussion held at Arlington Street Church, which supports the role the church and clergy have been taking. 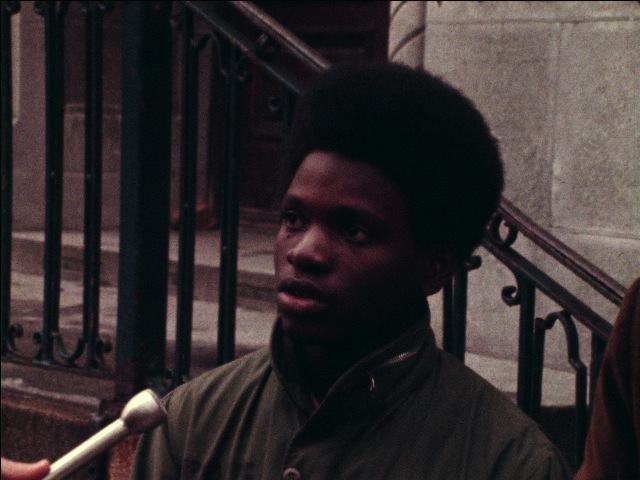 Interviews with three panelists: Rudolph Tuck, President of Unitarian Fellowship Conference; Truman Nelson, novelist; and Johnny Frazer, graduate student at Crane Theological Seminary at Tufts and member of the Unitarian Black Caucus Steering Committee. 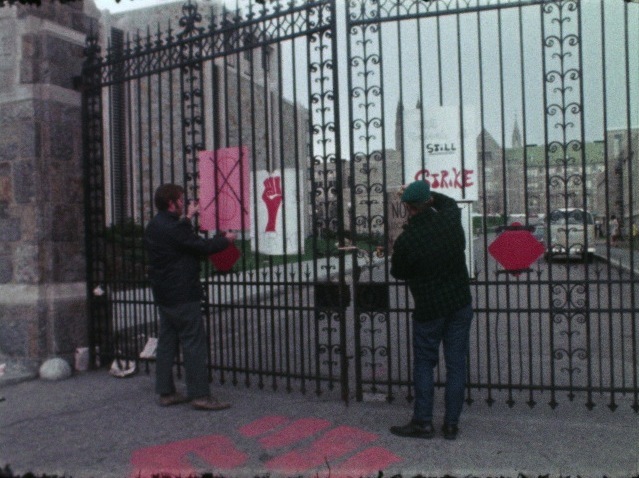 Description: Feature on a meeting between Boston College faculty and administration during a student strike. Rosemarie Van Camp interviews several men on the compromise reached during the meeting. 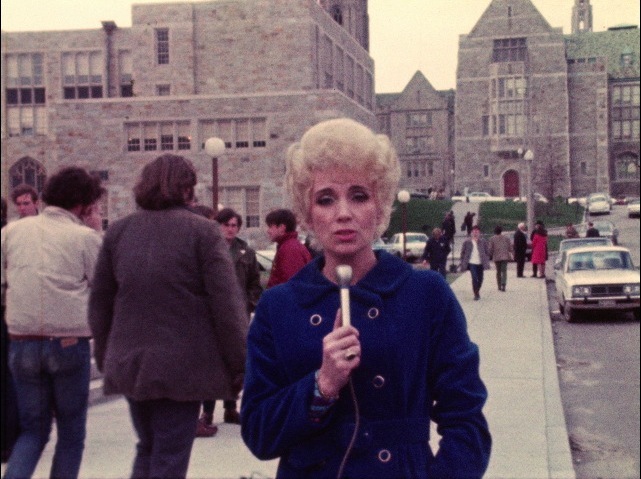 Description: Boston College faculty and administrations enter Campion Hall to meet on the student strike. Description: Interview with a member of the Black Students Federation on the interactions between the Federation and the Boston School system. Description: Interview with Boston School Committee Chairman John Kerrigan. 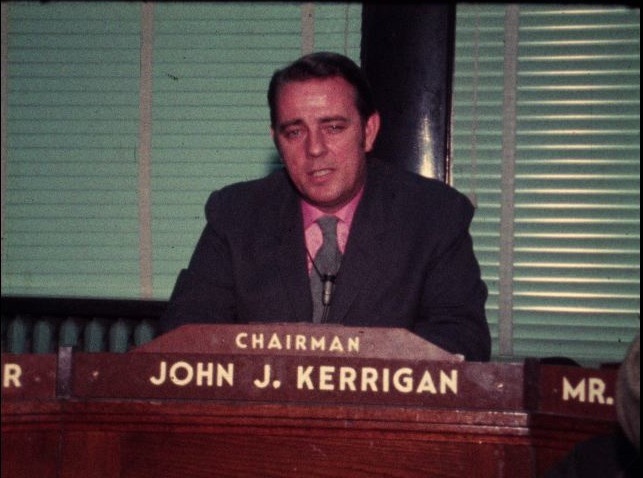 Kerrigan expresses his views against busing. He discusses the states racial imbalance law. He comments on the public conflict between Commissioner Sullivan and Secretary Finch, over their views on busing. 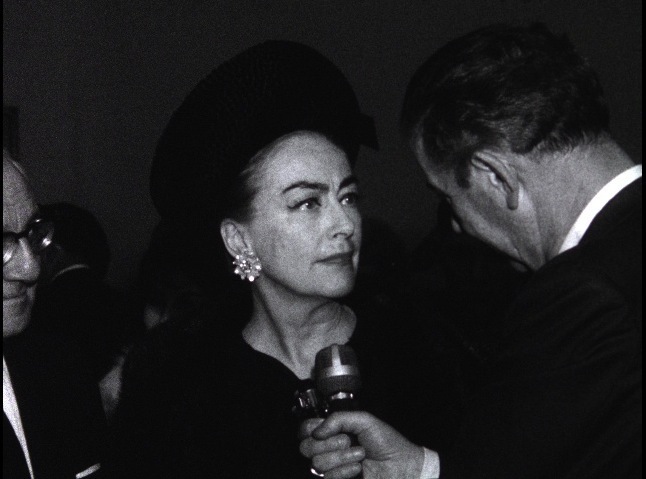 Description: Joan Crawford cut the ribbon at a dedication ceremony for a dance studio. Interview with Crawford about her feelings towards Boston. She also discusses the current dance crazes. She quotes Barbara Streisand. She discusses actors who become politicians.